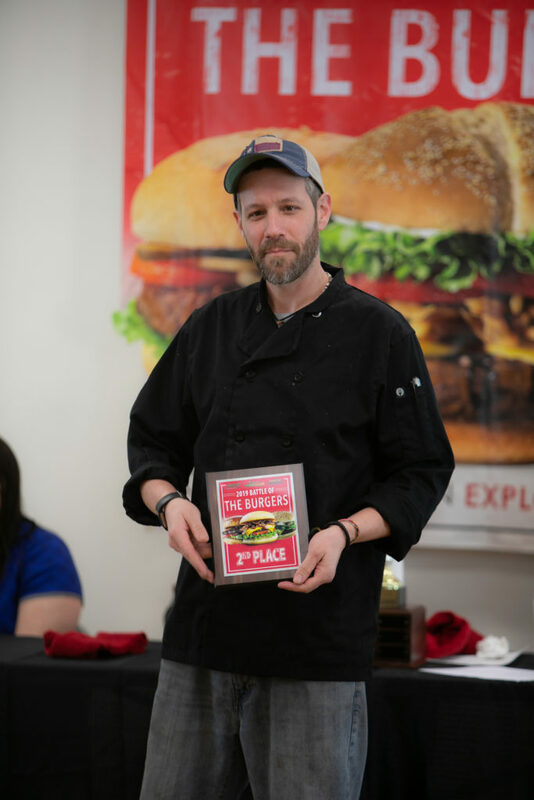 Sweet Basil Italian Restaurant & Bar of Shippenville finished in first place, followed by Clarion River Brewing Company of Clarion, and Seldom Inn of Tionesta. 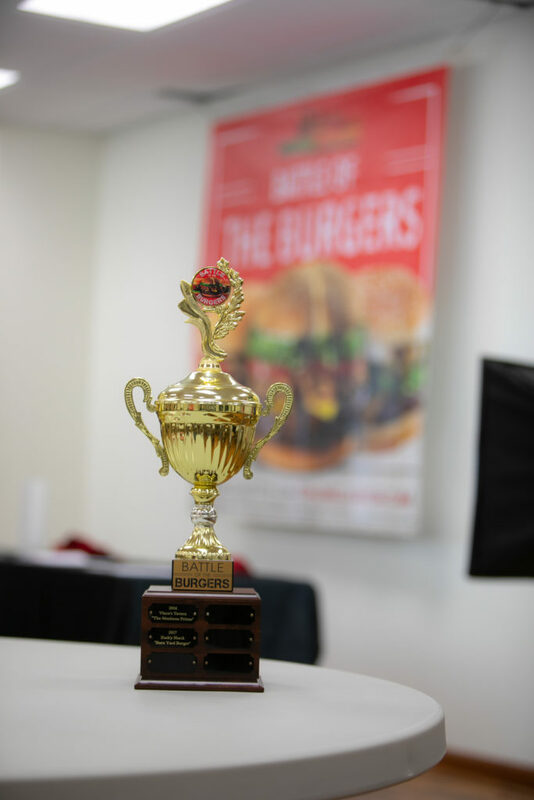 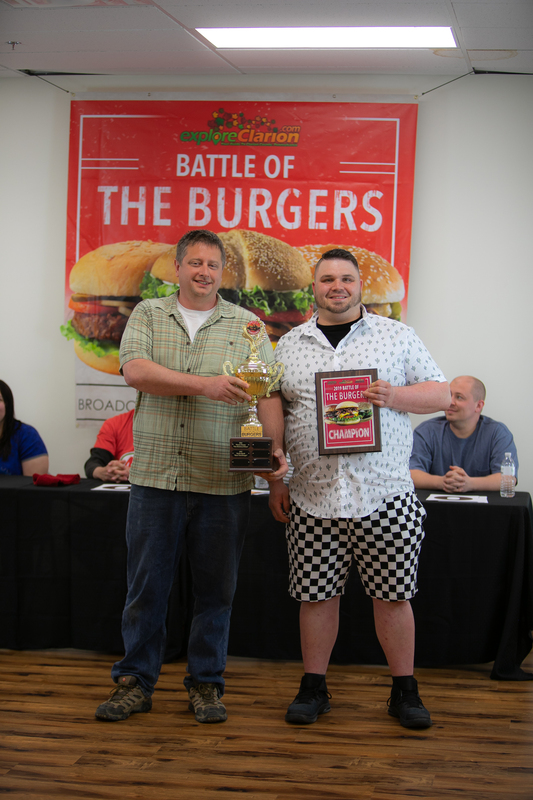 Sweet Basil owner Jason Conley and Chef John Davis cooked the winning burger – “The Kickin’ Jack & Bleu Burger” – and accepted the trophy for the restaurant. 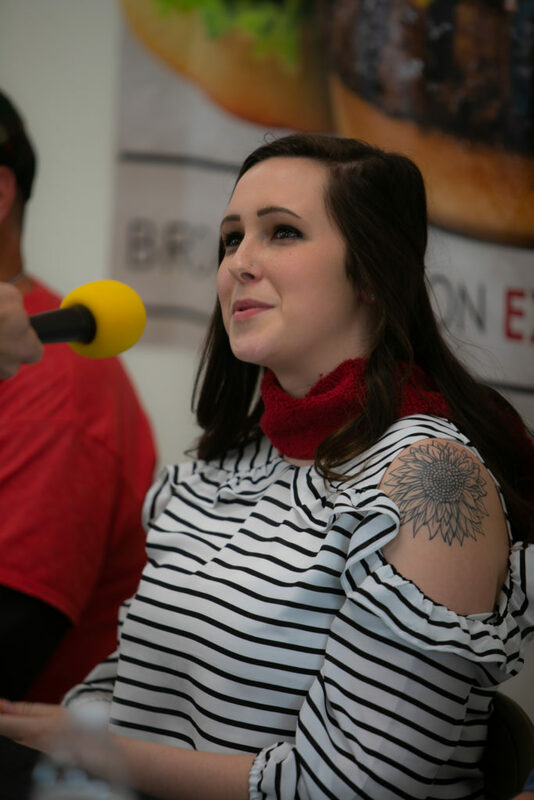 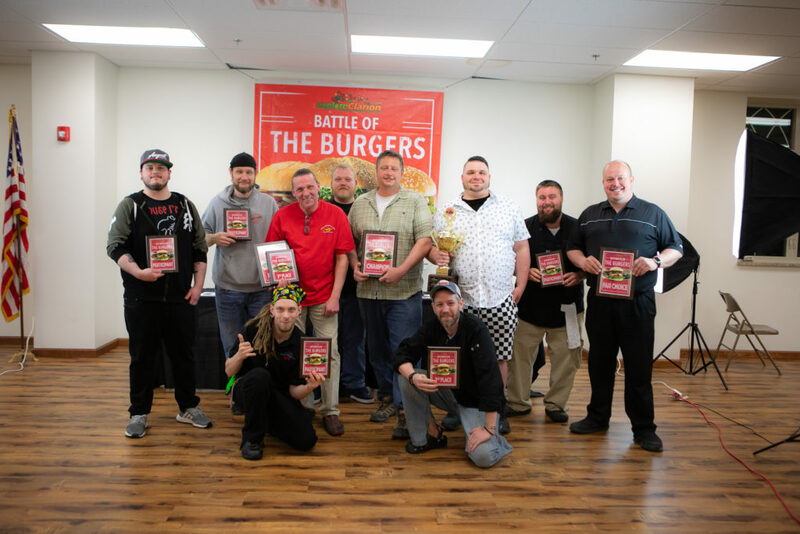 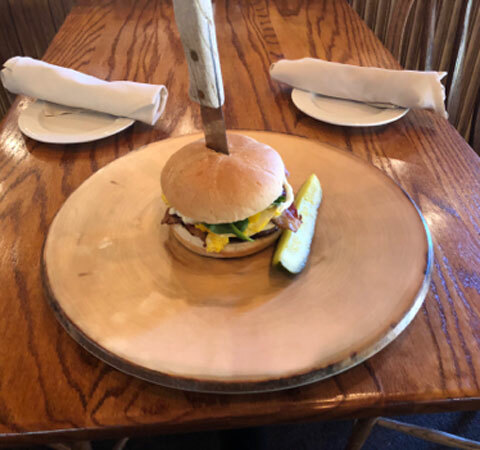 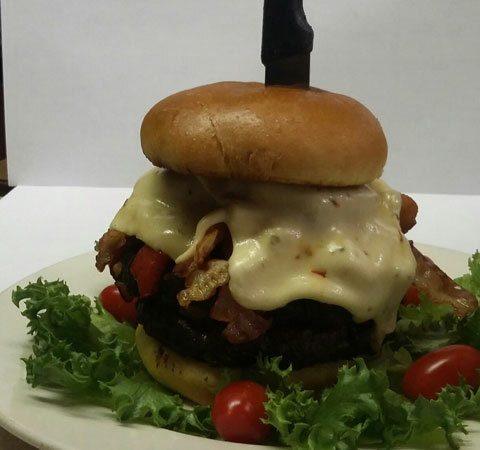 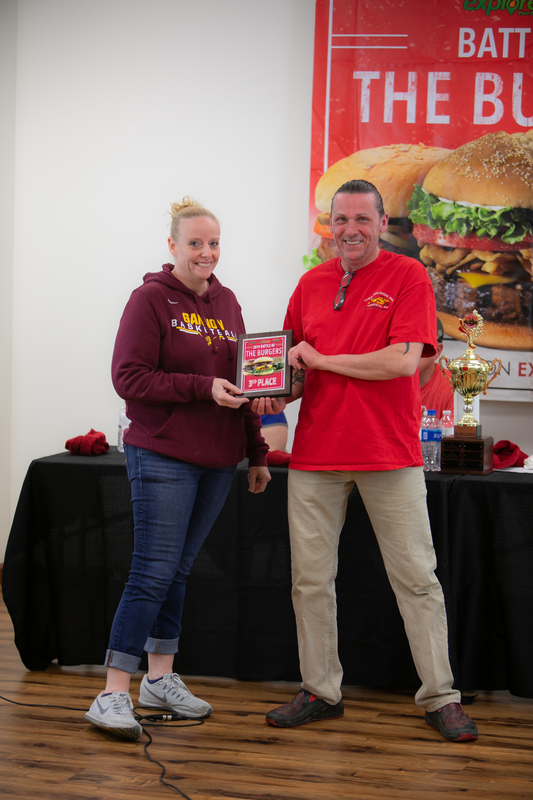 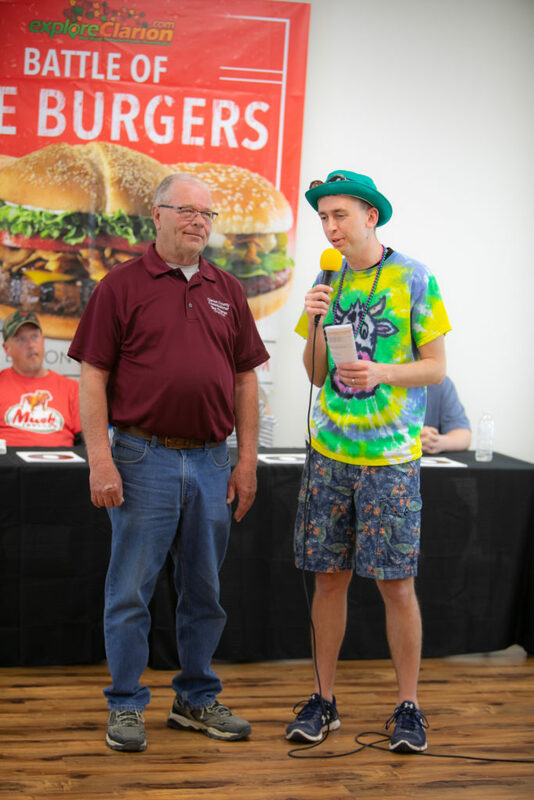 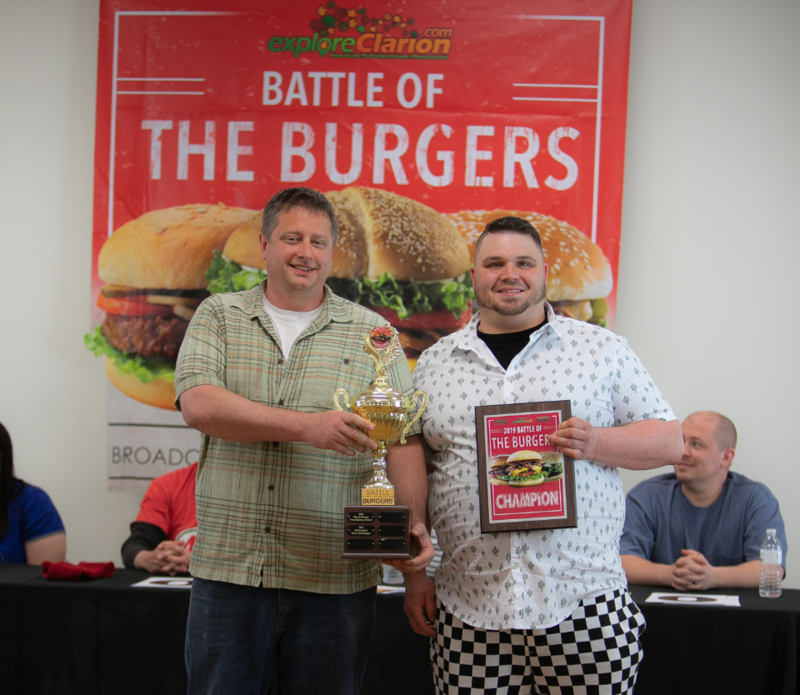 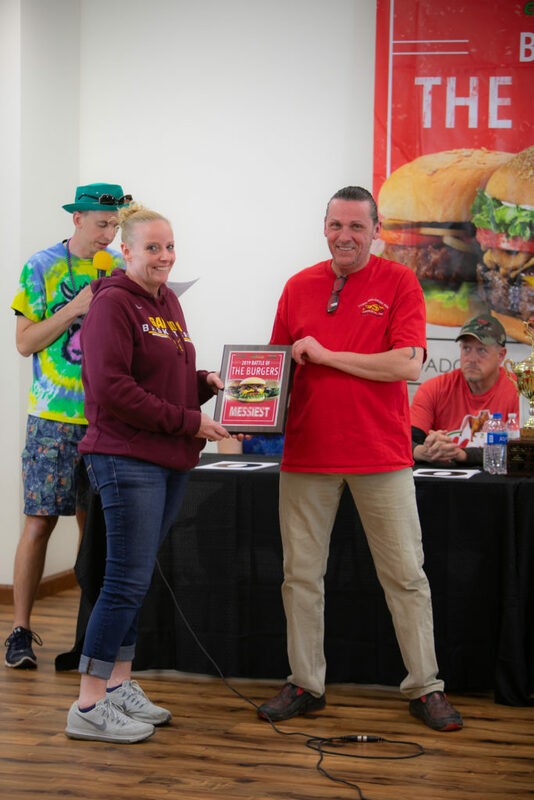 The second place burger – “The Brewery Burger” – was presented by Clarion River Brewing Company Co-Owner Jeremy Borkowski and Chef Ryan Passamore. 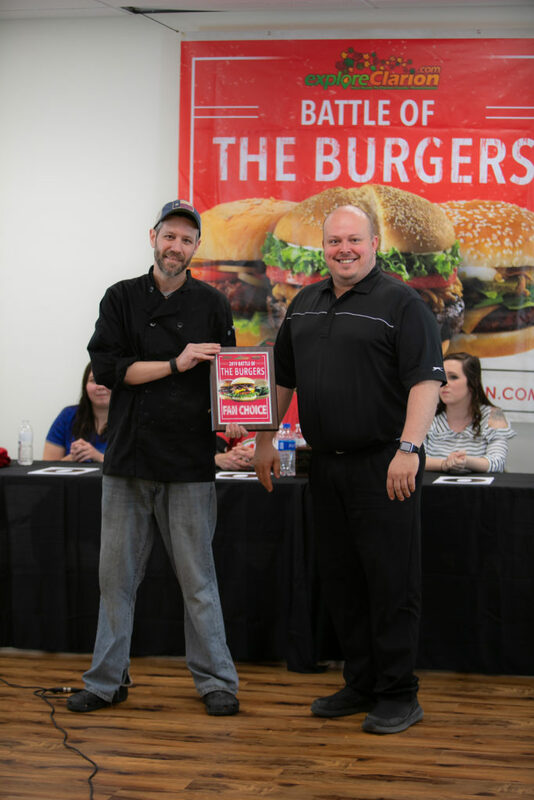 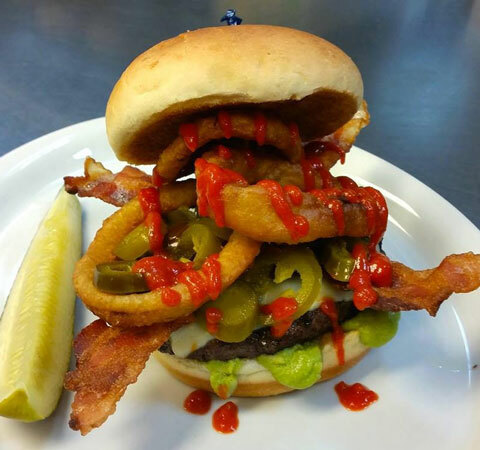 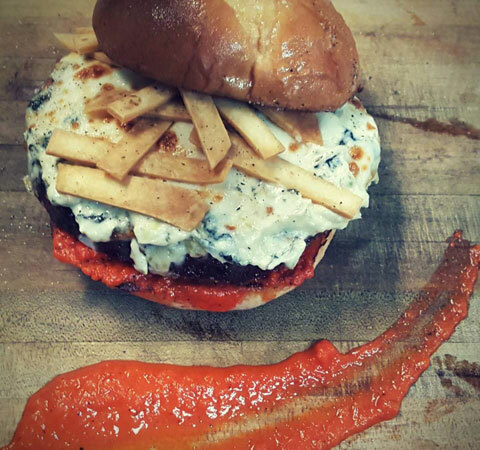 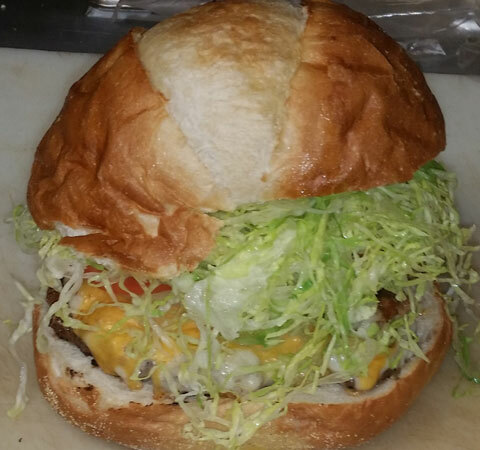 The Brewery Burger also won the Fan’s Choice award, receiving the most in-restaurant votes among the twelve burgers in the contest. 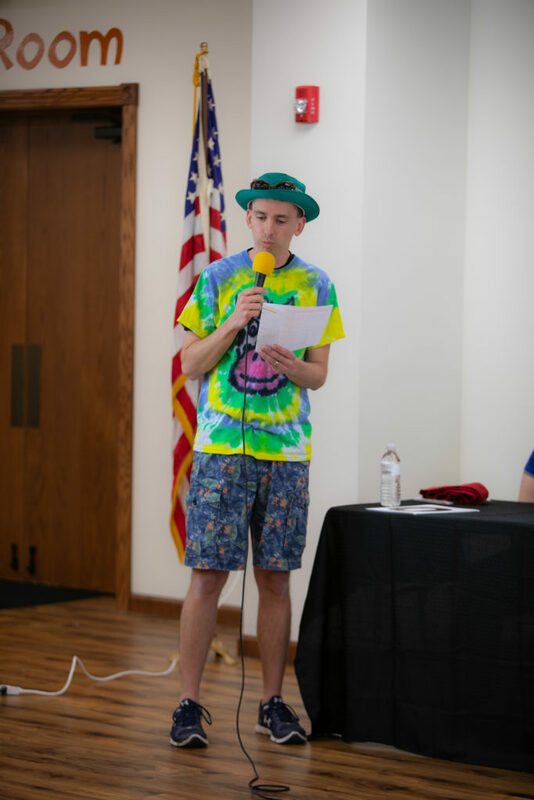 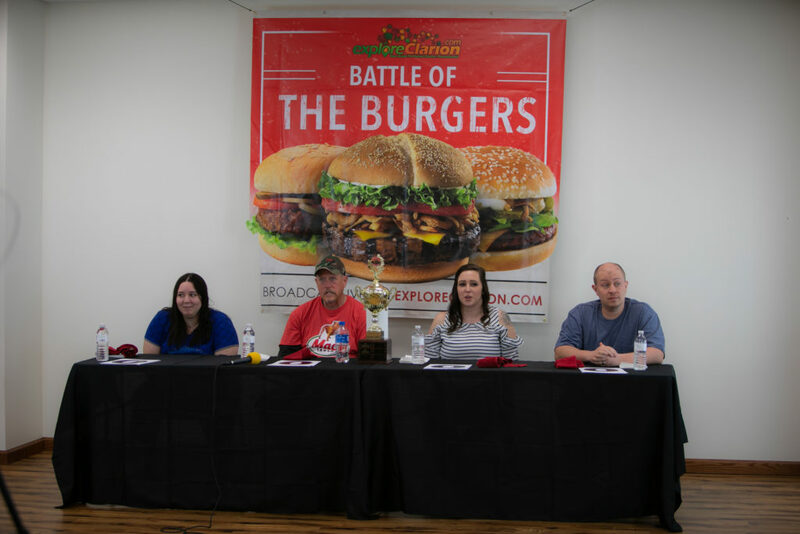 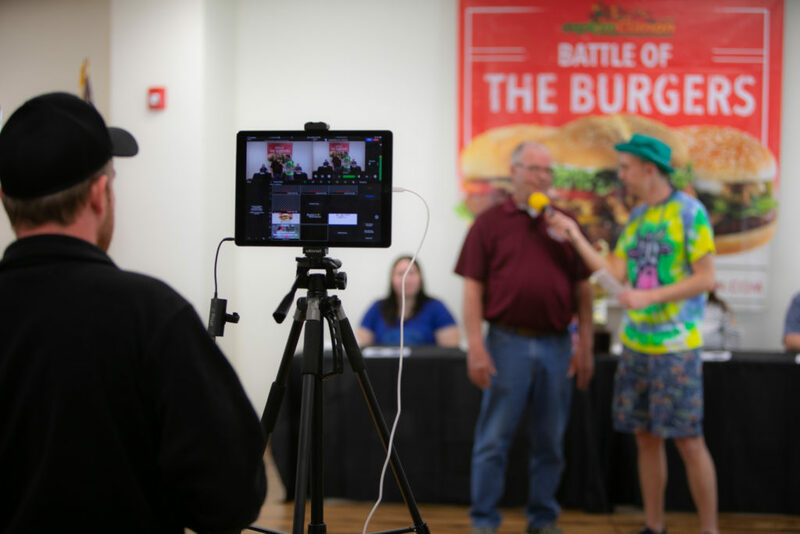 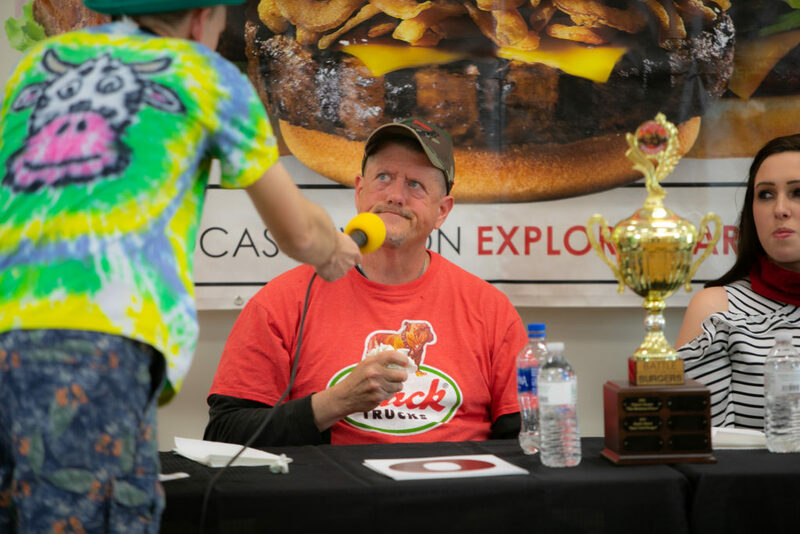 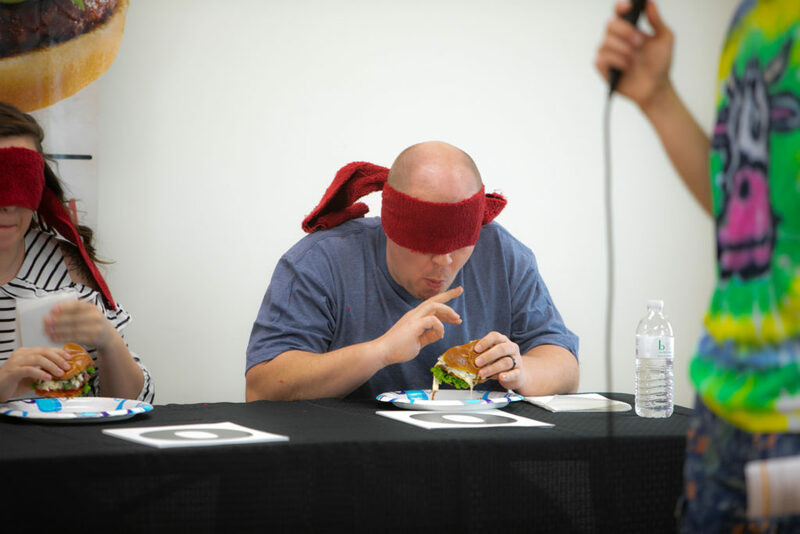 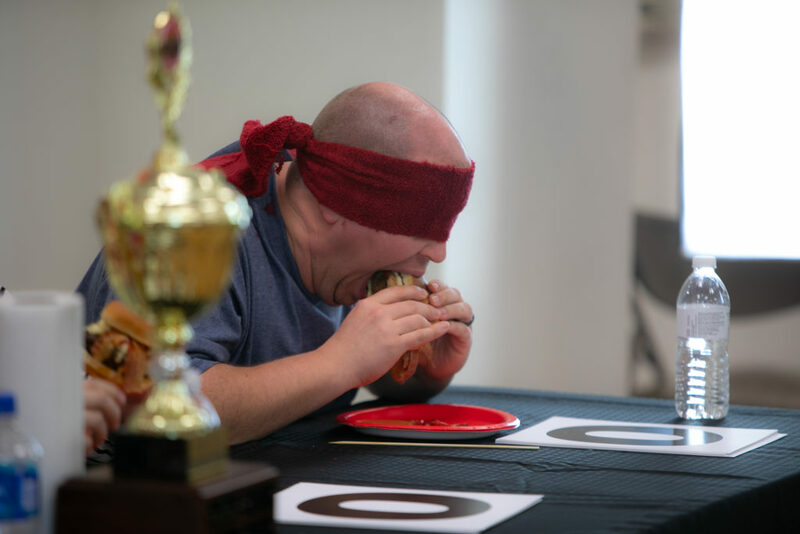 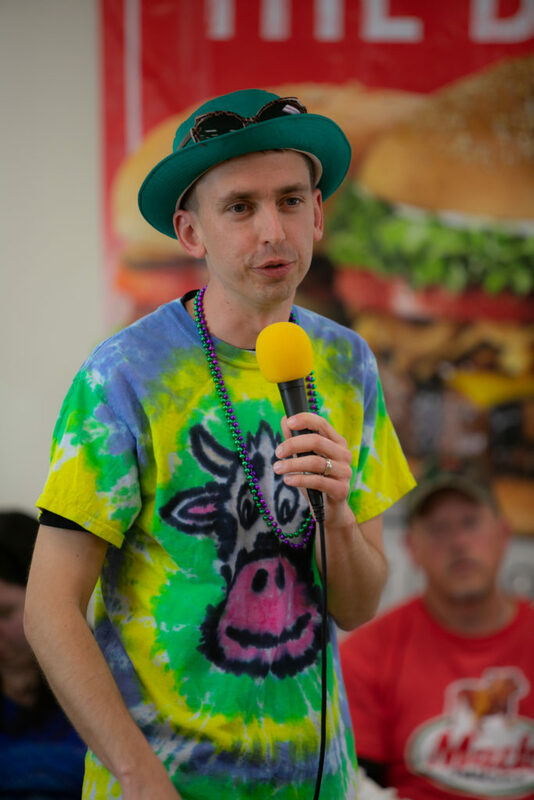 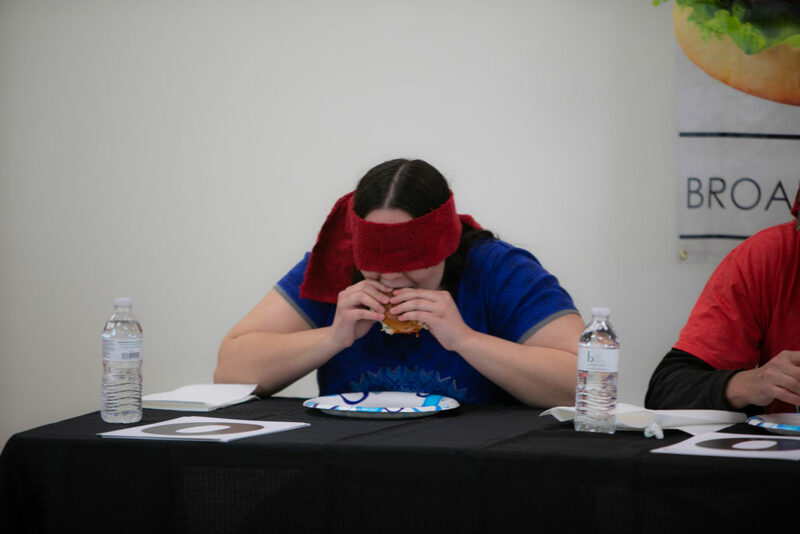 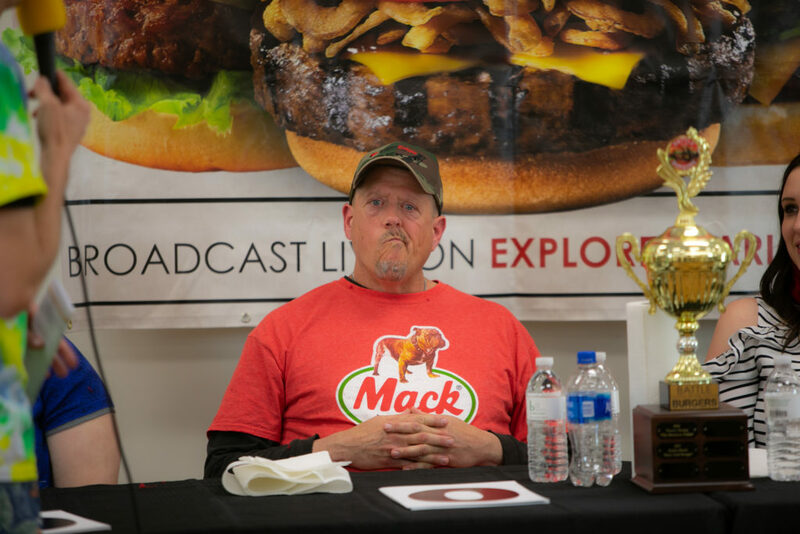 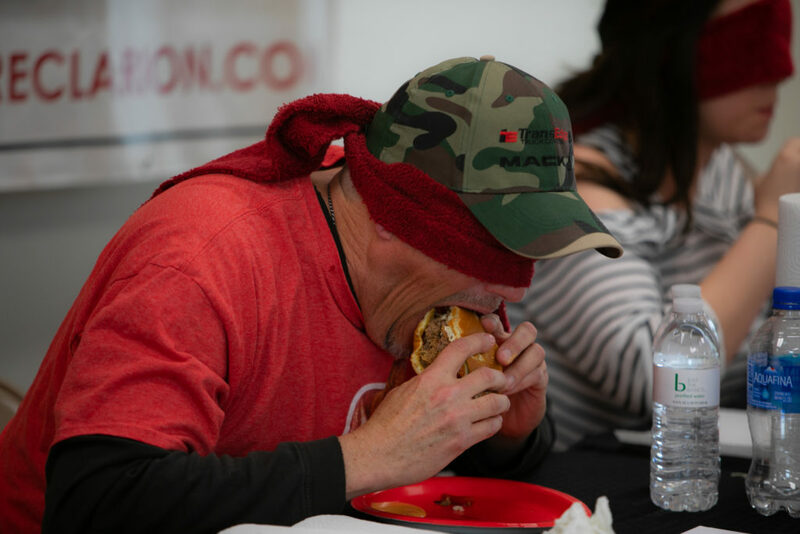 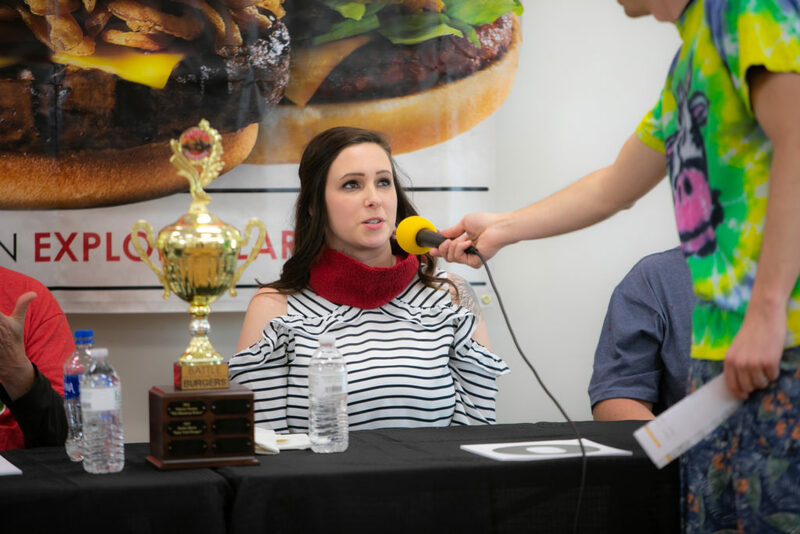 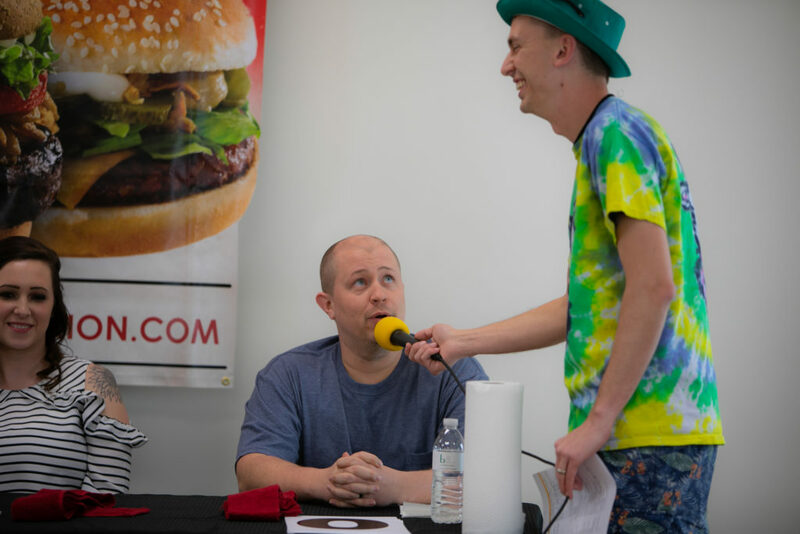 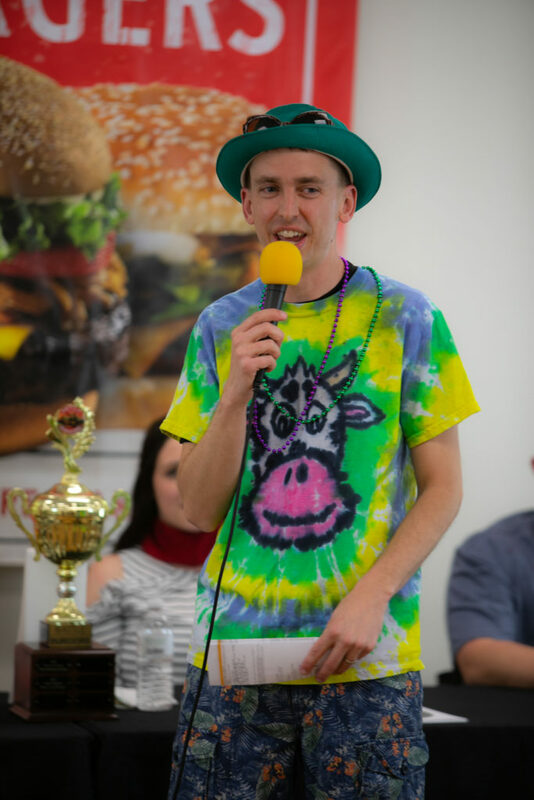 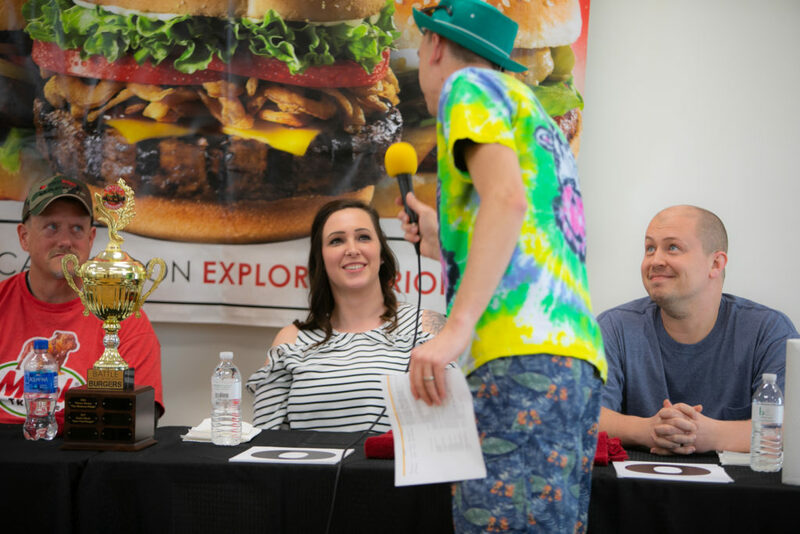 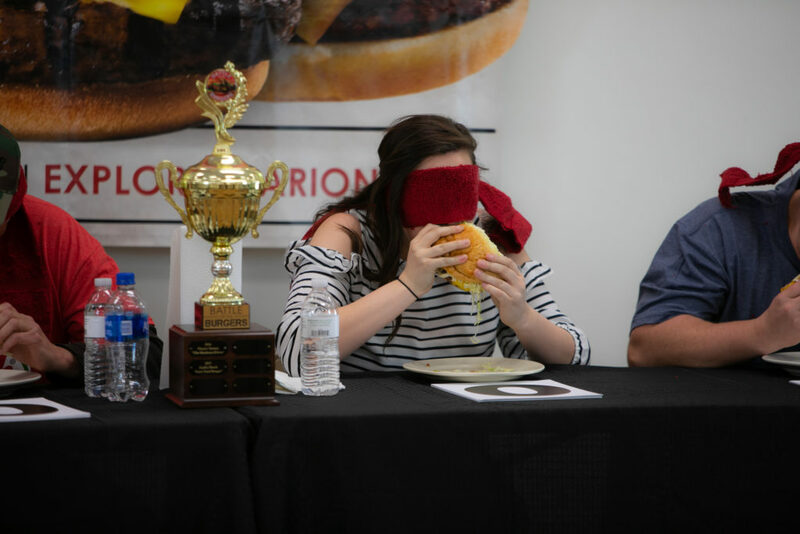 The show, hosted by Dustin “Crowbar” Kifer, featured four taste-testers who rated each burger on a 1-10 scale. 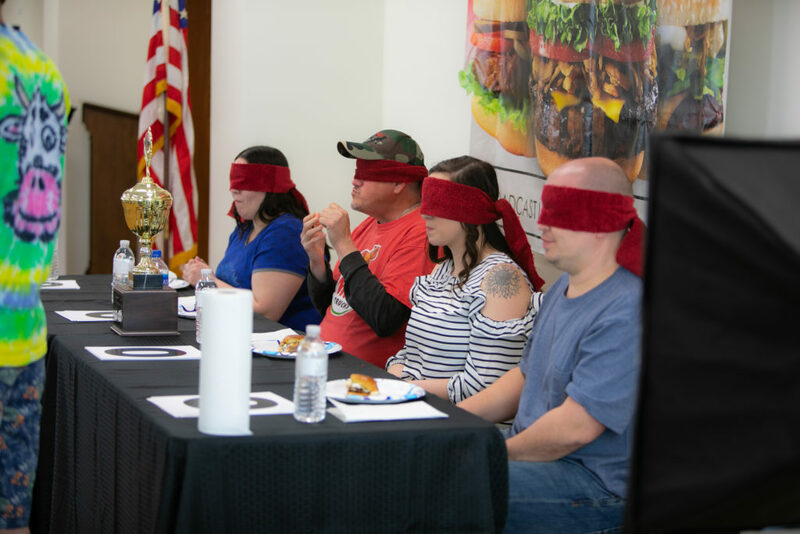 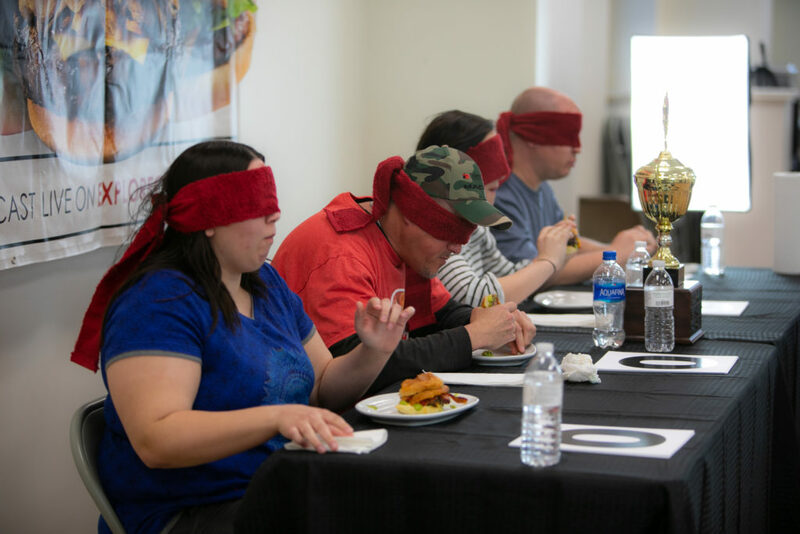 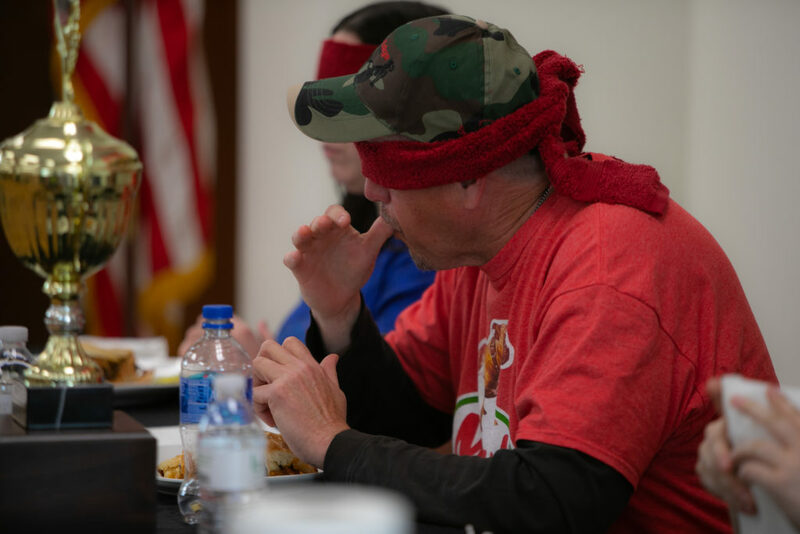 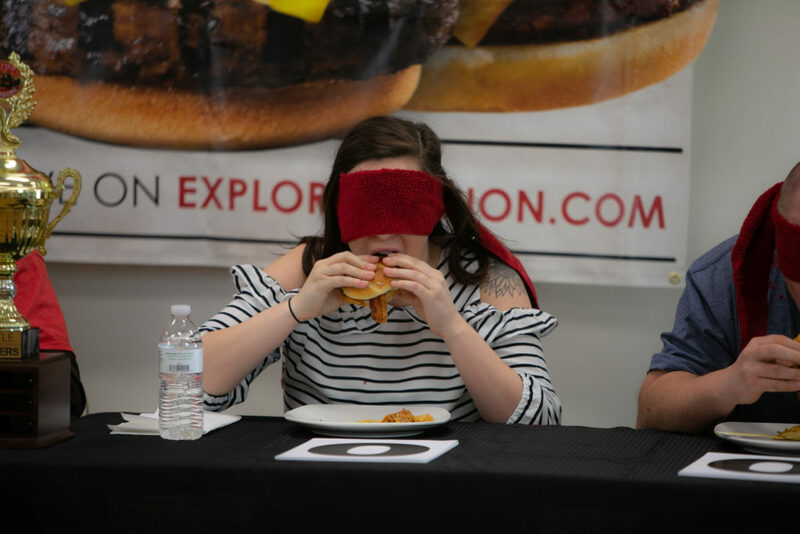 The taste-testers were Caleb “Sledgehammer” Kifer, of Clarion; Lexis Twentier, of Knox; Paul Recklein, of Delmont; and Kelsey Hawk of Clarion. 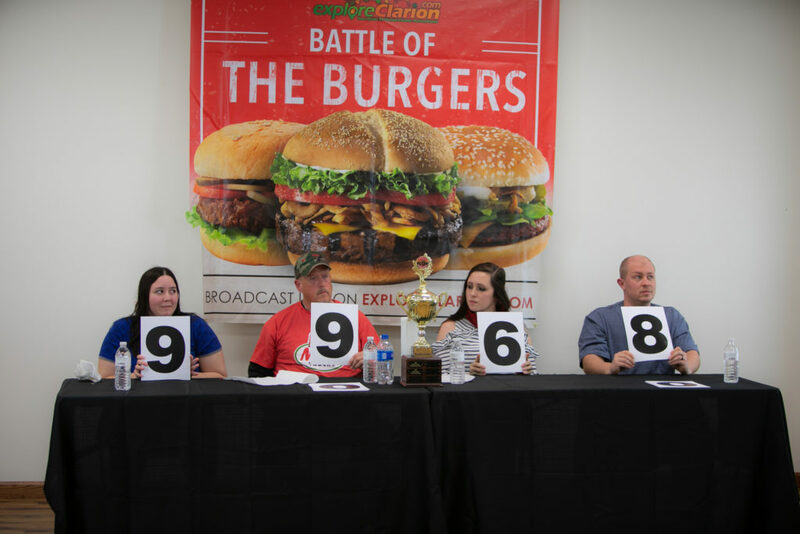 Twelve restaurants within Clarion, Forest, and Jefferson counties participated in the month-long competition which started with diner voting at the restaurants. 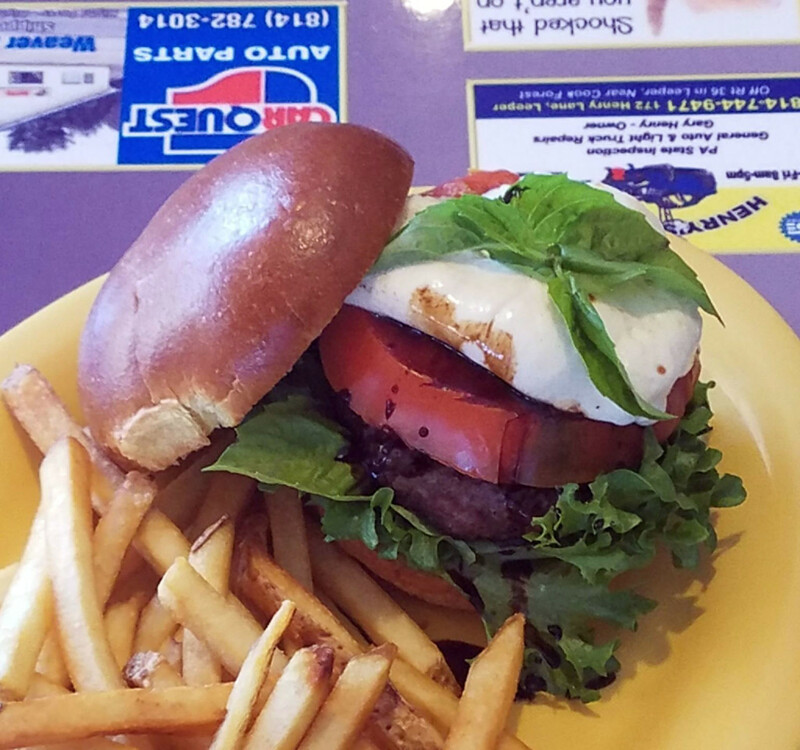 Location: 40 Main Street, Foxburg, Pa.
About the Burger: The Grille Burger is a pork/beef burger topped with pepper jack cheese, avacodo, spinach, and and egg. 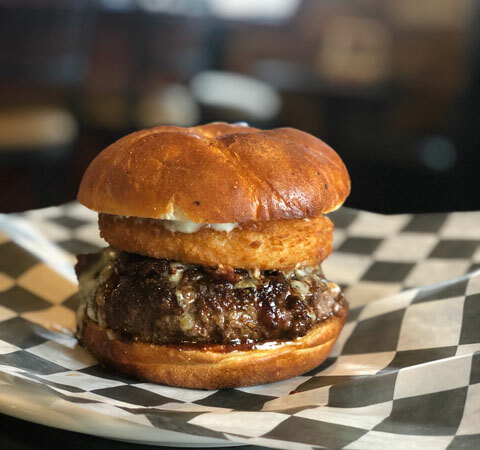 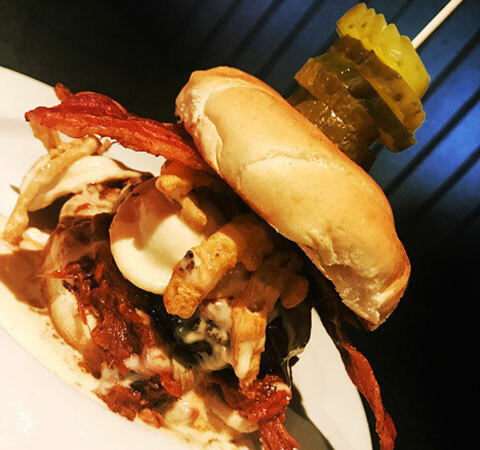 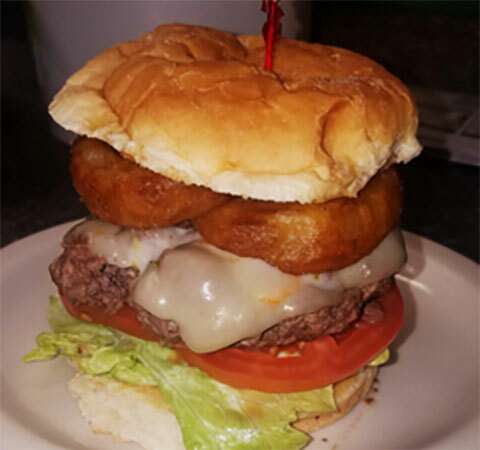 Location: 626 Lawsonham Road, Rimersburg, Pa.
About the Burger: The Rimersburger is a juicy 1/2 pound burger topped with a melted layer of pepper jack cheese, crisp onion rings and BBQ sauce nestled on a toasted bun, lettuce, and tomato. 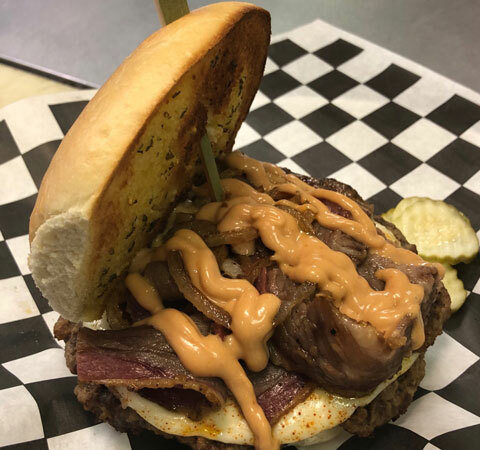 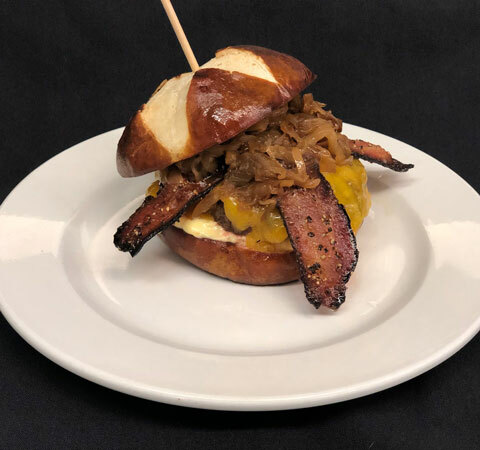 Location: 2738 Forest Road, Cooksburg, Pa.
About the Burger: The Trail’s End brisket burger is an angus burger topped with provolone cheese, grilled onions, brisket, BBQ seasoning, and Trails End’s own tangy special sauce. 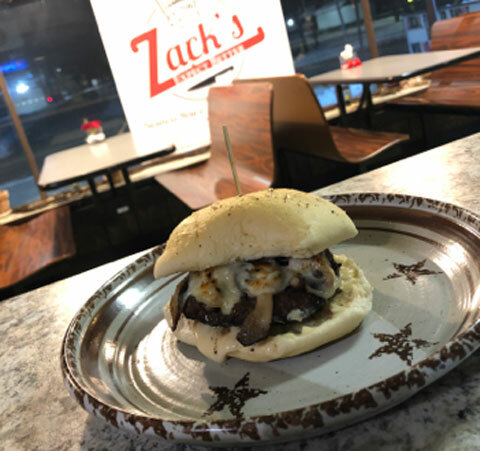 It is served on a toasted garlic bun.